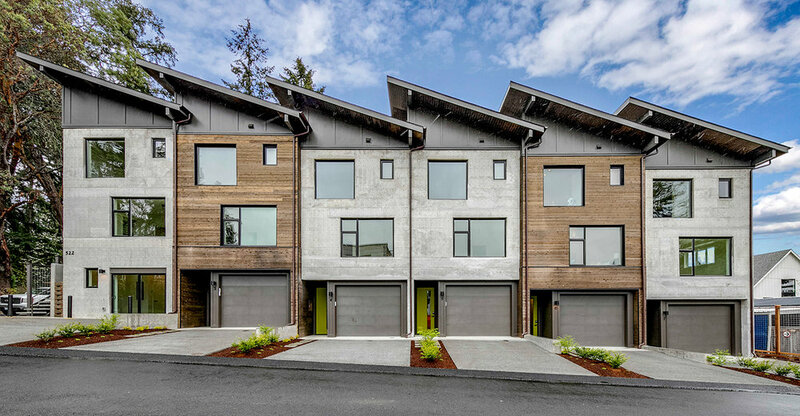 Winslow’s newest walkable community is under construction, The Lofts at Madrona. 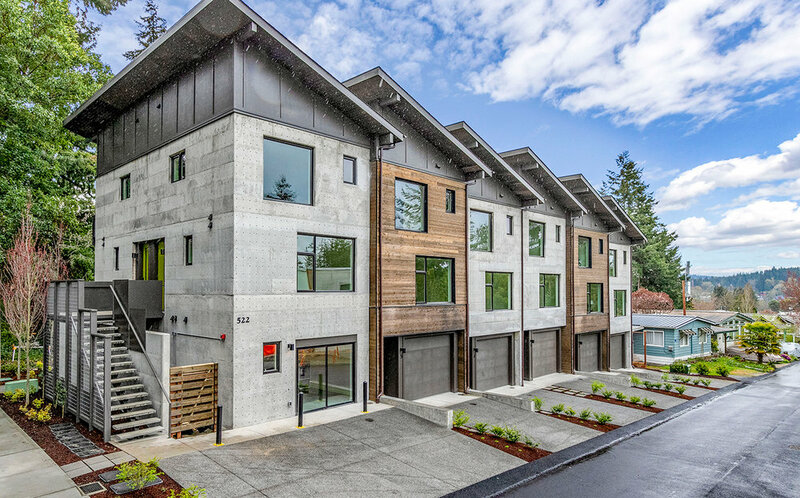 This opportunity for urban living on Bainbridge Island will be available for sale early 2019. 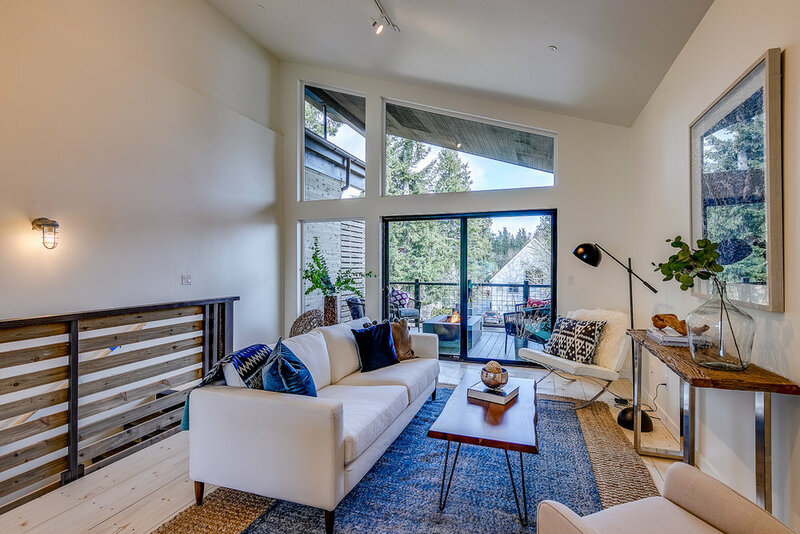 The Lofts consist of fourteen three-bedroom townhouses with top floor living and a deck looking through the treetops to downtown. The buildings are elevator ready. This is another Indigo Architecture & Interiors/Clark Construction collaboration.